Reminder – we’re asking everyone to wear red tomorrow, (preferably your SWRTA shirt) even if you’re not joining us on the picket line. NYSUT has declared May 1st a National Day of Action. It is also International Workers Day, as well as Loyalty Day in the United States. And of course, it’s ALWAYS a good day to show support for public education. 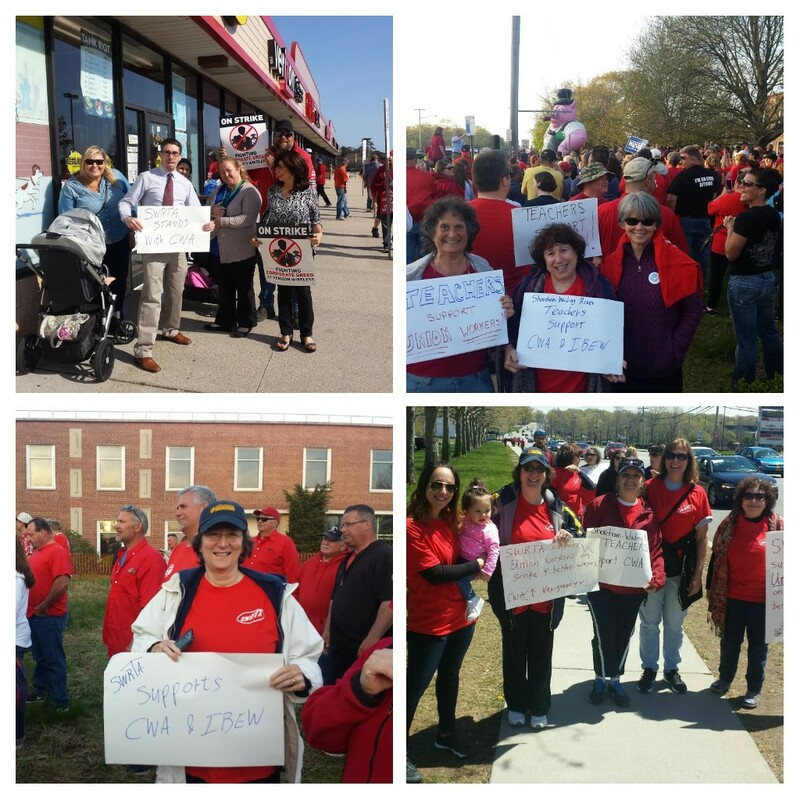 SWRTA will be supporting Clare Rose workers between 2:30 and 5:30 tomorrow (May 1st). Erin Schmalzle, SWRTA Grievance VP, will be the point person until around 4:30. I hope to be there from around 3:30 to to the end. We currently have just shy of 20 people who’ve responded positively. Since a good number of them are only able to stay for a short while, we’d love to get at least another 5-10 folks to make sure we have a continuous, solid presence. If you haven’t already done so, please reply to say you’ll join us (or just show up). A few people asked if it’s okay to bring kids. Not only is it okay, it’s very much encouraged. It’s good bonding time, it’s a great learning opportunity, and having kids there is a reminder that, ultimately, all of our union work has a tremendous impact on the next generation. Again, for the duration of the strike, please don’t purchase any beer distributed by Clare Rose. 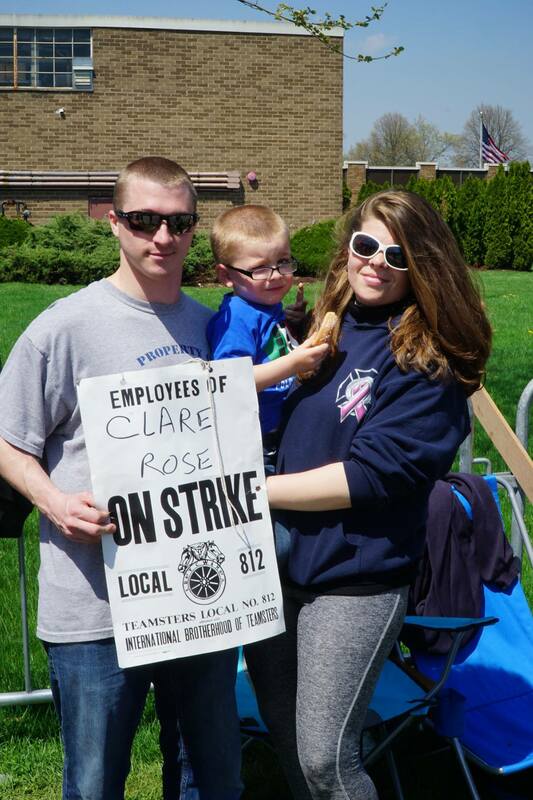 Thank you to everyone who has responded so far about joining us on Monday to picket Clare Rose in support of Teamsters Local 812. Why is it so important that we do this? There is one main reason, along with a number of additional benefits. First and foremost, this is what unions are all about. Union members look out for one another, and when one is being mistreated, we stand together and say “this is not acceptable.” There is safety in numbers – and there is strength and power. Think of it as the grown-up version of the anti-bullying messages we give our students: be an up-stander, not a bystander. Last year, when Verizon was threatening to freeze pensions, gut job protections, and force some workers to work away from home for up to two months at a time., many other unions – including ours – stood with them. (click the image below for more pictures). The result was that wages were increased, pensions and protections were maintained, and previous work rules were upheld. There’s never one single factor that causes an employer to reach a fair agreement, but pressure from the outside (including other unions and the general public) can be a valuable asset for striking workers. Exactly a year later, we have the chance to help again. What Clare Rose is trying to do is completely abhorrent and we need to support our brothers and sisters. In addition to the above, there are some additional reasons why we really want to have a good presence on Monday. It’s in our own interest – Every union fight affects us all. If Clare Rose succeeds in breaking this union, it is one step closer to an overall reduction in union strength in this state and this country. This will have very dire consequences for us in the not-too-distant future. It just feels good – When you’re walking on another unions’ picket line, the one thing that you’ll hear over and over is how much your presence is appreciated. These folks are in a rough place right now, not getting an income and being very unsure what the future holds. If our presence gives them a little mental boost and helps them feel they have support, then that alone should be worth the half hour or so of your time. So please, join us on Monday, any time between 2:30 and 5:30. Stay for as little as 10 minutes or for as long as you like. The picketing is on William Floyd Parkway, JUST south of the L.I.E. You don’t have to RSVP, but it would help to get a sense of how many folks are coming if you can reply to this email. Tomorrow I’ll be sending out details about where to park, what to write on signs if you decide you’d like to make one, and updates about the strike. Finally, if you’re a beer drinker, please boycott products distributed by Clare Rose until the strike is settled. 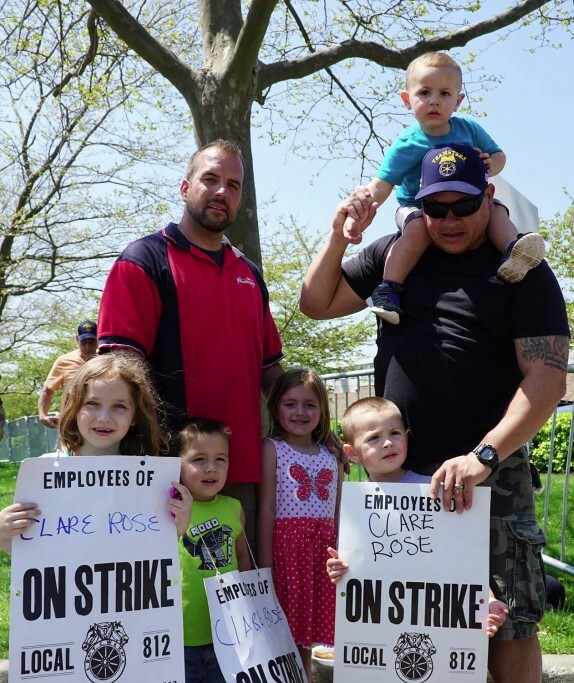 As you may have heard, drivers and warehouse workers at Clare Rose (distributor of Budweiser and quite a few other beer brands) launched a strike on Sunday. This is in response to a contract proposal that would slash wages by 30% and eliminate pensions for some workers. As with last year’s Verizon strike, there’s a lot a stake here. The company is threatening to “permanently replace” the workers, a move that would have serious repercussions, and further weaken the position of all unions – including ours. Also as with last year’s Verizon strike, it is critical that other unions (including ours) come out and show support for the striking workers. NYSUT has already begun to have a presence, and they are asking locals to take part. We’ll be reaching out soon with information on how you can help. Please stay tuned. 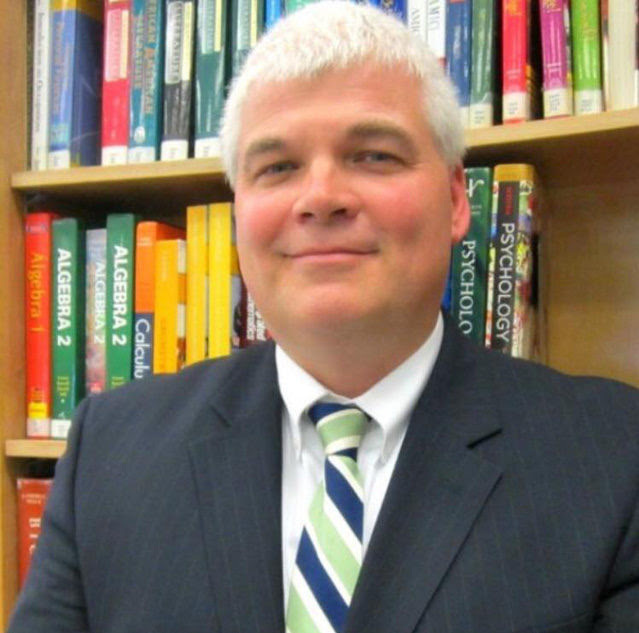 The Shoreham-Wading River Teachers’ Association welcomes Gerald Poole as the new Superintendent of SWR Schools. Mr. Poole began his career as an elementary teacher at Phillips Avenue School in Riverhead, where he taught 3rd grade and later worked as a literacy coach. He left Riverhead for an Assistant Supt. position in Valley Stream before taking the position in Freeport, which he has held for four years. He is a lifelong east-ender who currently lives in Mattituck with his wife and two high school age sons. You can read more on the SWR Website and in this article from the News Review. We offer Mr. Poole our sincere congratulations and look forward to working with him. 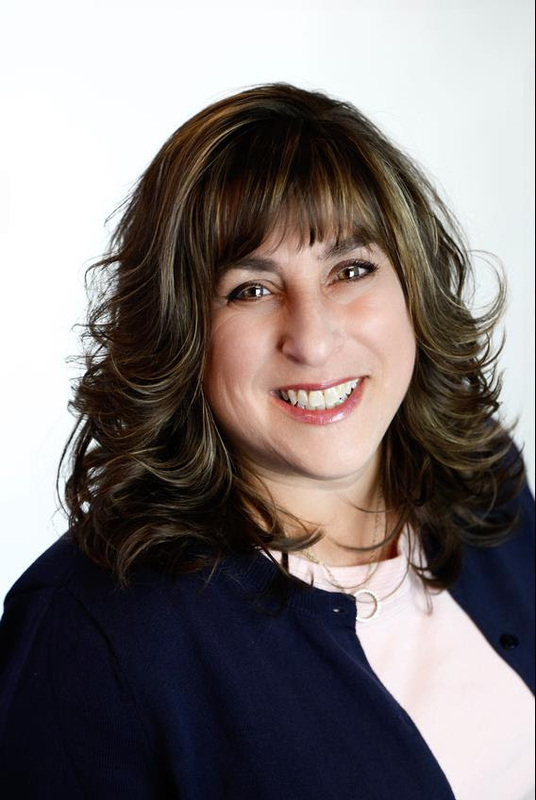 Christine Pellegrino, a veteran reading teacher in Baldwin, is running in a special election in the Ninth Assembly District to fill the vacancy created when Joseph Saladino was elected Supervisor of Oyster Bay. For the past couple of years, NYSUT and the AFT have been pushing for teachers to run for office – from Boards of Ed, to town councils, etc, and Ms. Pellegrino is one of the most high-profile examples of this. Running as a Democrat in a very Republican skewing district, she is a longshot. But with enough support, a victory is definitely possible. And of course, this is not just about political party – it’s about protecting public education. Think back just to 2015, when the “Heavy-hearted” Democrats in the Assembly sold out public schools, and it’s clear to see the tremendous benefit of having an actual educator in that body. The election is May 23, and it is very likely that we will be calling on you in the next few weeks to help in getting her elected. In the meantime, learn more about Ms. Pellegrino from her website. And if you want to throw your support behind her right away, you can click here to find out how to help.